Hank Mobley made his first European tour in 1967 with Slide Hampton, and for several years afterwards, he visited Europe almost annually. This world premier live recording was made at Jazzhus Montmartre, Copenhagen on March 10, 1968 during his only series of appearances at the club, which lasted a week. 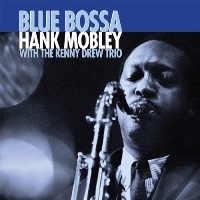 Mobley is supported by the superb "house rhythm section" of Kenny Drew (p), Niels-Henning Orsted Pedersen (b), and Albert Heath (ds). A very rare and historic document of Hank Mobley's activities in Europe! Recorded March 10, 1968 at Jazzhus Montmartre in Copenhagen, Denmark. Mono.